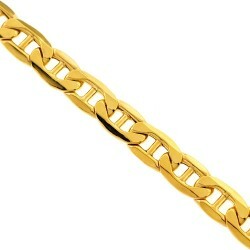 This handsome mariner gold necklace is also known as anchor links has famous design that features chic simplicity! 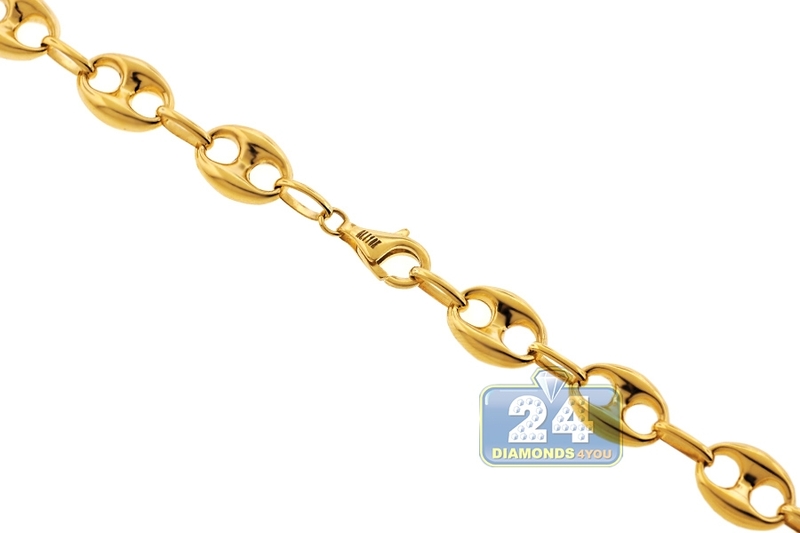 It is gorgeously handcrafted in warm 10k yellow gold, and highly polished for smooth shiny finish. 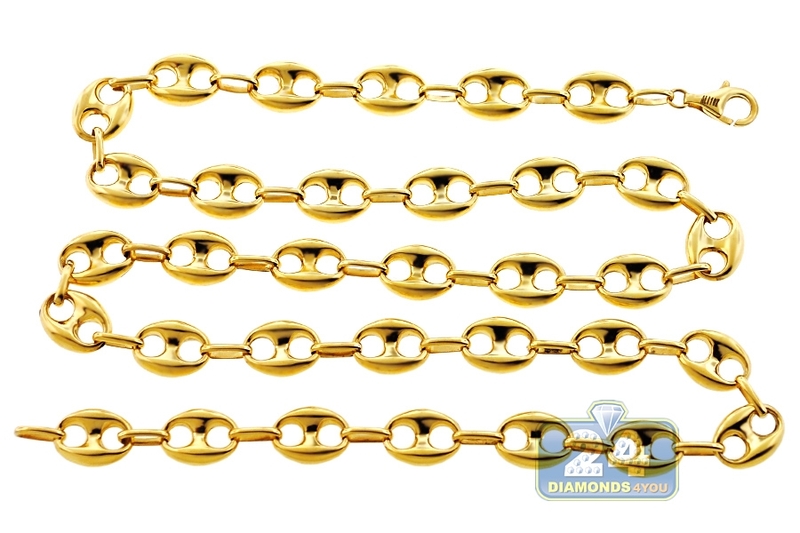 The yellow gold necklace measures 3.5 mm in thickness, 10 mm in width, and available in length of 24, 26 or 30 inches. 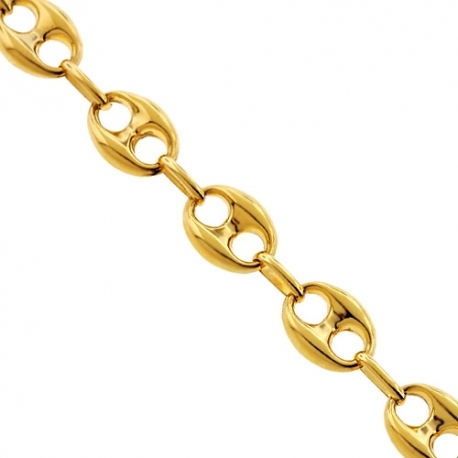 It is also secured by a comfortable lobster claw closure. 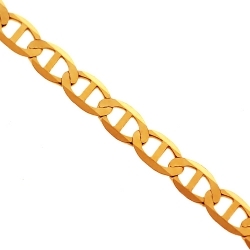 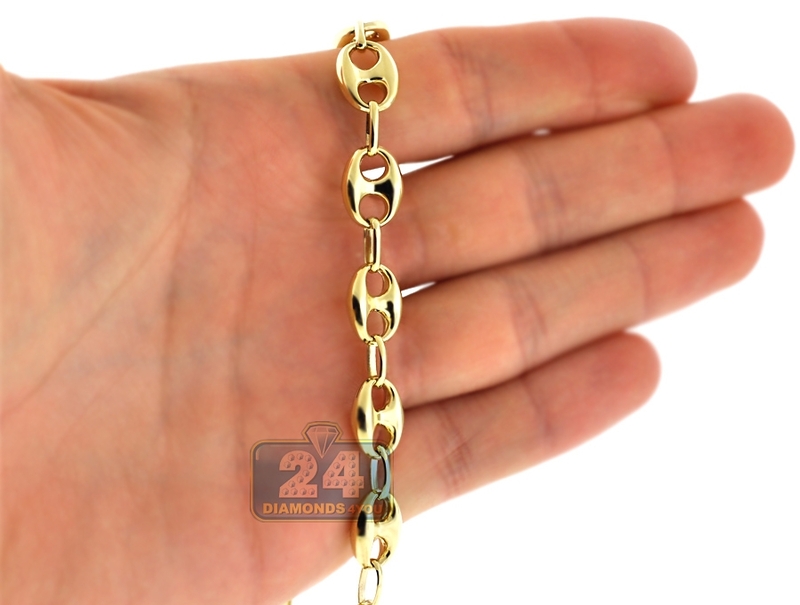 Our men's yellow gold chain has minimalist look with maximum effect!